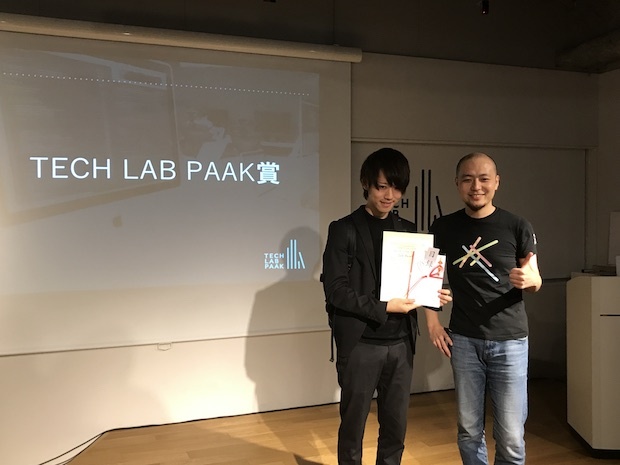 Japan’s Recruit Holdings (TSE:6098, hereafter called Recruit) last month held a Demo Day for the 9th batch of its startup accelerator Tech Lab Paak based in Shibuya, Tokyo. 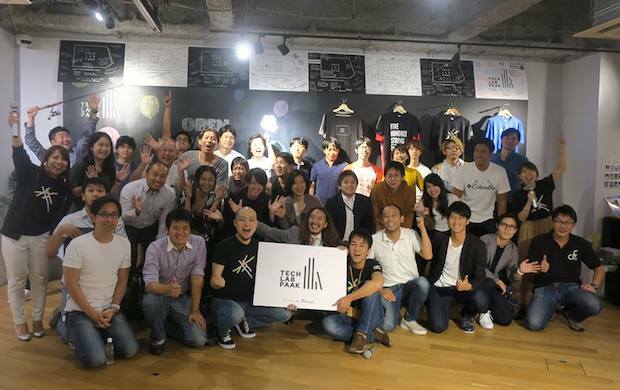 14 teams gave 3-minute pitches presenting their six-months’ results since joining the program. 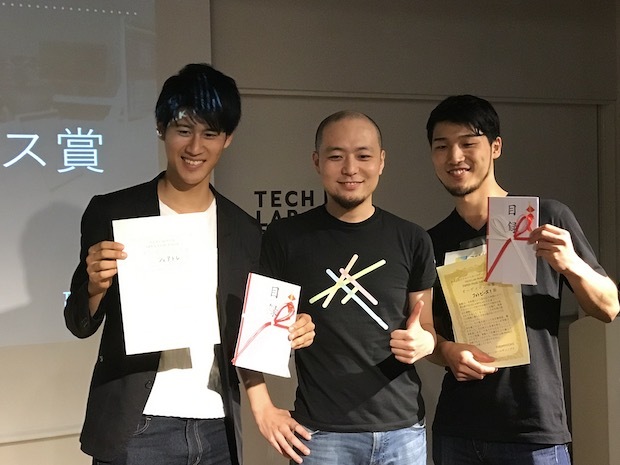 In addition, 10 teams made 1-minute pitches although they were excluded from the examination, and thereby it became a big pitch event totaling at 24 teams. 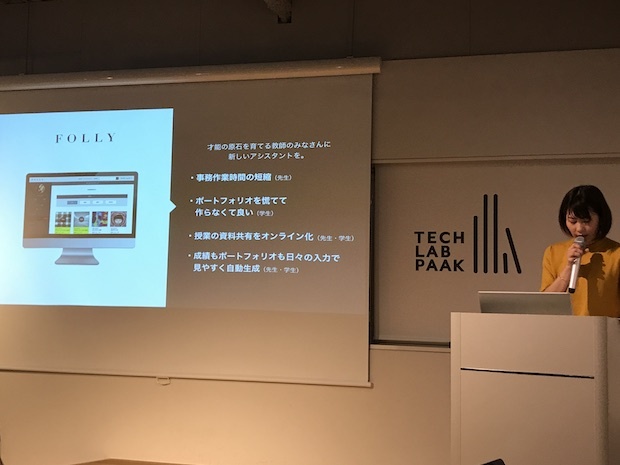 Below, I introduced what kind of services were or are going to be born out from Tech Lab Paak, with a focus on prizewinners. The following are judges for the pitch competition. JobRainbow and a job-offer website ichoose target LGBT (lesbian, gay, bisexual, and transgender), comprising one of every 13 persons. 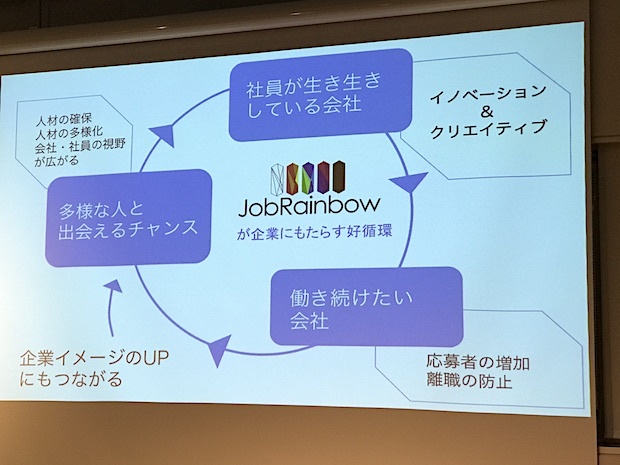 JobRainbow provides job-offer information about LGBT-friendly companies as well as interviews for recruitment staffs, benefits considering LGBT, or posts from LGBT workers such as “I got accepted by coworkers after coming out” in each company. On JobRainbow, about 300 companies have currently been providing job-offer information and the number of users is about 10,000. The firm also launched ichoose especially focusing on job-offer function for LGBT two months before, and it has been adopted by 20% of the proposed companies. 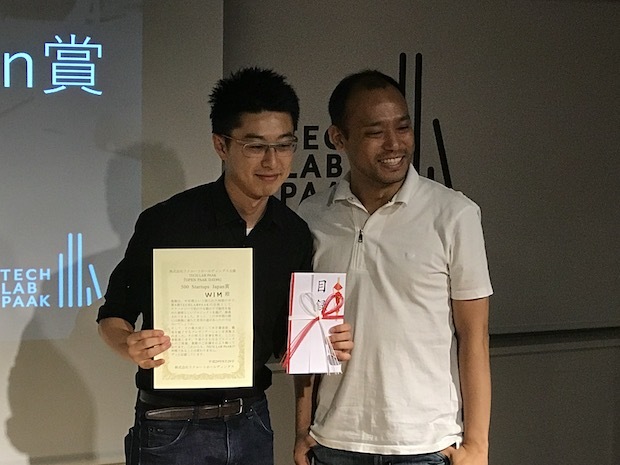 In addition, the firm runs an offline event to connect job seekers and LGBT-friendly companies named Real Job Rainbow, forming a community for information exchange not only about jobs but also work styles among users. Vincent Van Gogh is known for that his work had not been admired well in his lifetime but came to be traded after his death. 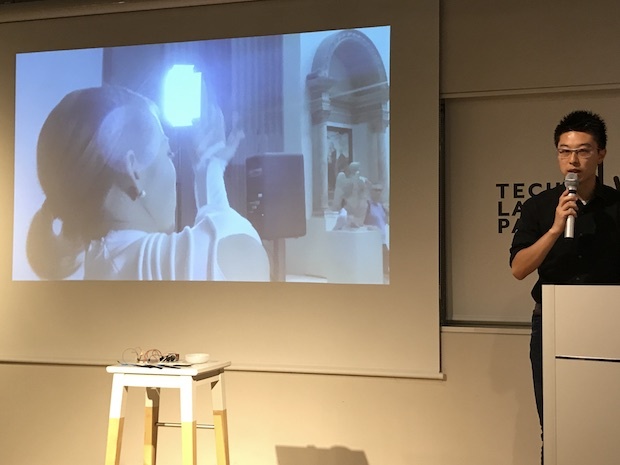 Artrigger takes on preventing present artists from Gogh-like cases by providing an environment where they or persons concerned can grasp market value of the artists in real-time. The firm aims to realize visualization of market value in real-time based on product /author / copyright management information, targeting three markets: video, game, and book / paper / image / text from among many kinds of content industries. Along with that, Artrigger developed a school management / portfolio tool named Folly for art educational institution of arts, in order to assist teachers to develop students’ talent without wasting time for clerical work. 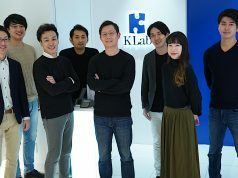 With trust bank, the firm had agreed to cooperate in demonstration tests for the market value visualization technology and asset planning / inheritance, donation, trust of intellectual property rights, leveraging each one’s field of expertise. MacroSpace develops a system of the tele-existence named Gitai. Putting sensors on controller’s body, this system sends motion data via internet to a robot in remote place and makes it to do the same motion with the controller. 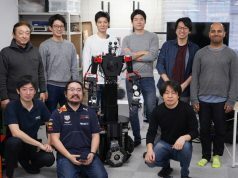 Additionally, the firm developed a visual system allowing users with head-mounted display to experience 360-degree pictures photographed by camera mounted on robot in real-time. 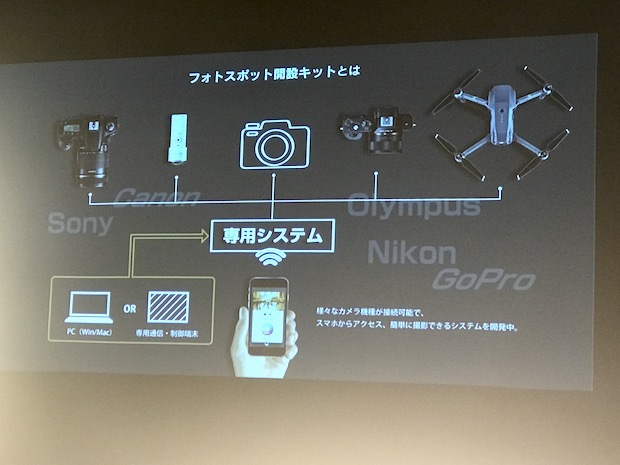 The data transmission for real-time 360-degree images requires broadband and sometimes transmission delay may occur. To improve this, the firm developed UDP-based P2P (peer-to-peer) streaming protocol and Linux-based Gitai OS, and succeeded in reduction of the band needed down to below 4Mbps from 330Mbps and of transmission delay time down to 0.08 seconds. MacroSpace was chosen for Global Solutions Program 2017 operated by Singularity University. 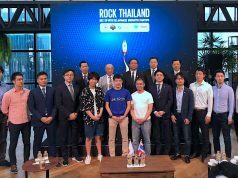 Through the program, the firm realized a cooperation with US-based startup SpaveVR providing VR environment with cameras on the circum-terrestrial orbit. The camera devices of SpaceVR are going to be launched with Space X rocket soon and the day you can experience live video of the earth from SpaceVR by using Gitai is probably not far. Macrosplace was also chosen for SU Venture, the acceleration program organized by Singularity University. WIM develops cheap and small-driver artificial muscle from the perspective of availability for performance. 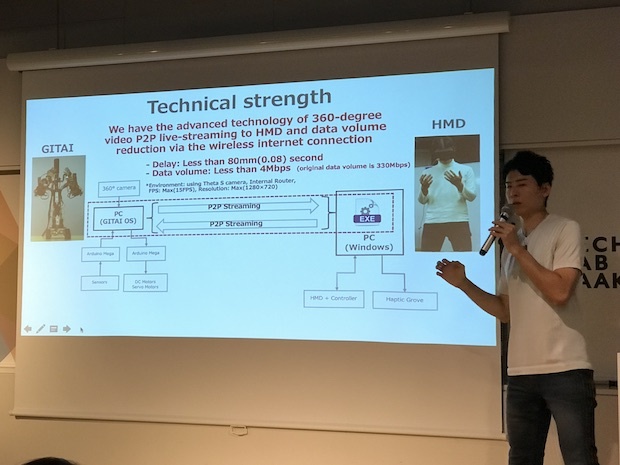 According to Jun Kamei, the designer of WIM, the mainstream of artificial muscle has been shifting to the one made of alloy from the one with rubber pneumatic device, but the material alloy is still very expensive although the Japanese market is leading this field. WIM develops electric-driven artificial muscle made of polymer (Electroactive Polymer Artificial Muscle; EPAM), attempting to reduce cost down to 1/100 (about $5 from $500 by material-based cost). Although there may be some companies or research institutions developing EPAM ahead of WIM, the firm is distinguished by adopting this technology to performer’s costume and design and is expecting to enlarge the possibility of performance expression. In the beginning of the pitch, an example video at V&A (Victoria and Albert Hall) in UK which Kakei participated was shown. 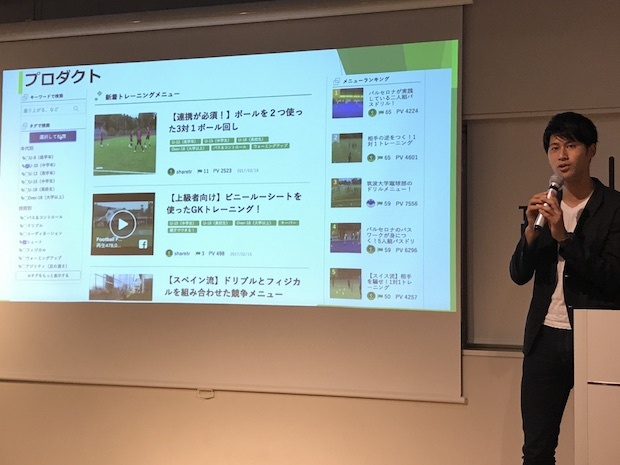 Many of amateur football (soccer) coaches lecturing children in Japan have to handle hard tasks that they build a practice schedule and conduct it themselves as volunteers, although they have no official coach experiences. To solve such problem, Sharetr provides a platform under the same name allowing amateur coaches to share their practice schedules. 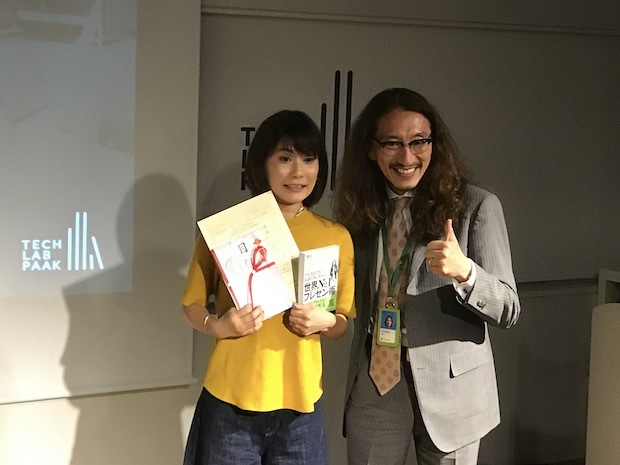 The founder of the firm belongs to School of Health and Physical Education of University of Tsukuba, so that it also provides special menus to learn specialized knowledge supported by professors of the university. After joined TECH LAB PAAK, this service grew to a big website attracting 200,000 monthly user views, 2,200 memberships, and 30,000 visitors of sports instructors. SEO, column publication via media, and Youtuber specialized in sports practice seems to be contributing to the increase of access. 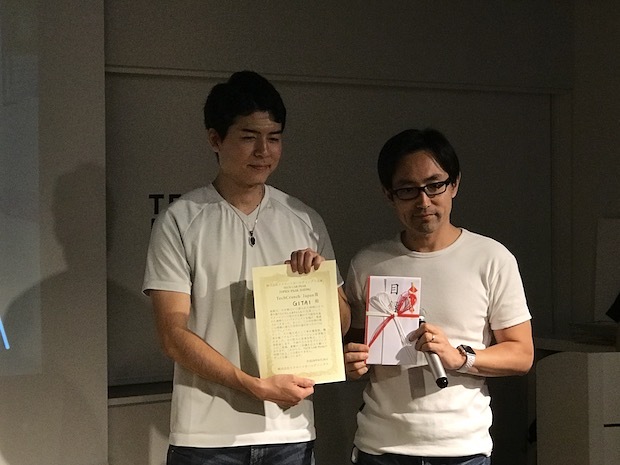 The firm cooperated with Japan Football Coaches’ Association (JFCA) in recognition of the firm’s value, and has been receiving JFCA practice schedules or selling items jointly. While platforms of user experience in IT industry have shifted from video to smartphone, and to VR, the sports field still depends on DVD attached to magazines. Sharetr is going to expand its service enabling the watching of practice videos by smartphone easily, and aims to enter the sports-related field other than football to create equal opportunity of sports education with its new service under development, enabling to receive sports instruction at any place. Photo Be-s is, so to speak, a Pokémon Go-like app in photographing experience. When user with the app visits to a predetermined location, he / she acquires right to be shot by preset camera optimized for photogenic angle in advance and can get the photo by remote shuttering. It enables photographing from various angles which cannot be realized by selfie, such as through water tank, though window, or from drone. Photo Be-s matches those who have beautiful space, own dead camera asset, or want selfie at an outstanding photographic spot. 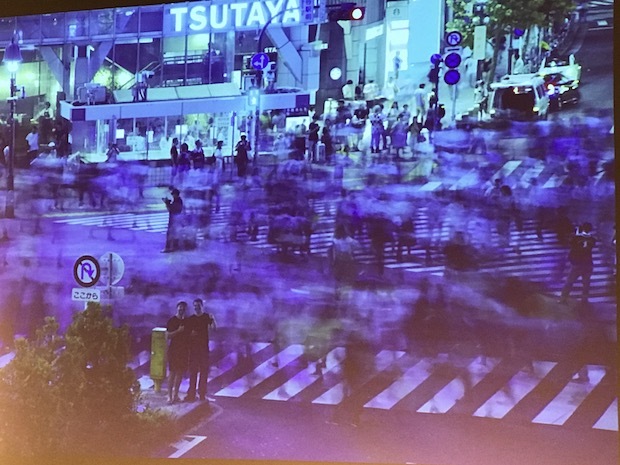 The firm has already completed a prototype, and tried test shooting at the Shibuya scramble crossing or held photography events inviting test users.